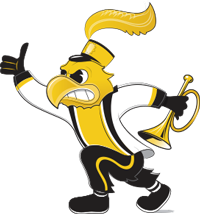 The University of Iowa School of Music offers comprehensive and life-changing academic, performance, and leadership opportunities for students who are passionate about music. After being displaced throughout the university after a devastating flood, the School of Music was to be reunited in a brand new, state-of-the-art facility. It was at this time that the school approached Creative Mellen to refresh their brand for this epic time in their history. In partnership with Meld, we interviewed alumni, students, and staff to help determine the school’s current and future strengths. While the brand needed to support recruitment efforts, it was also essential that it emphasize the world-class faculty, programs, and performances, as well as the new facility as an important “reintroduction” to the school itself. With all this in mind, we developed a new brand tagline, Composing Futures. This strategic messaging was built around the school’s strong music core and all of the elements that surround it. We created a visual manifestation of the brand by incorporating modern sound bars to emphasize the hands-on approach the school instills in its programs. The brand was then expanded into signage, banners, digital, and print. Using the sound bars with photography created a dynamic and interesting way to feature student outcomes and faculty expertise. 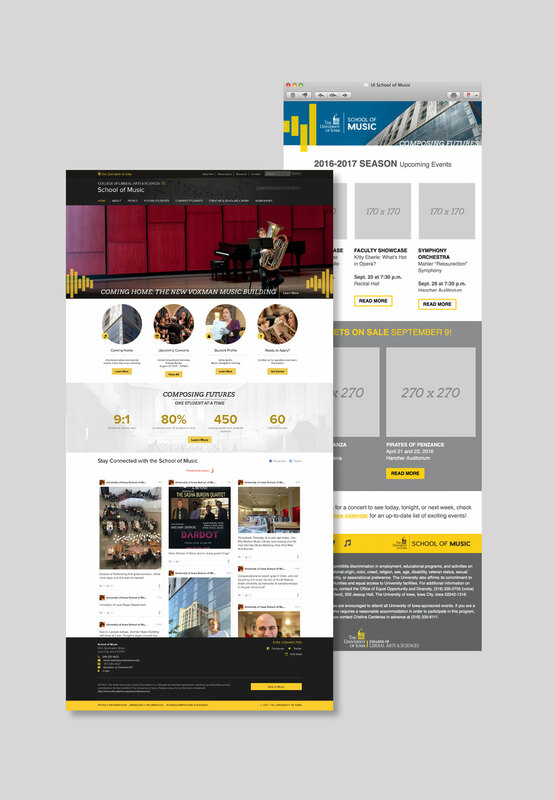 We also incorporated strategic recommendations and design elements into the school’s website and event emails—reaching both students and the community in its brand messaging.